Posted on Monday, September 25th, 2017 at 10:48 am. 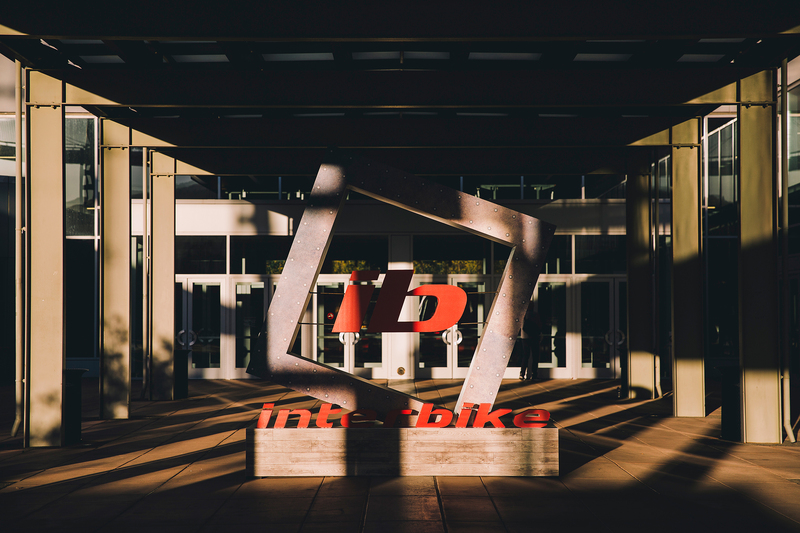 Attending InterBike this year was a little bit like going to any Burning Man after the very first one held on the beach in 1986. Everyone in attendance was wandering around, muttering about how great it used to be and lamenting what has happened to “their” event. Sure, the almost complete lack of legitimate big name bike brands and the proliferation, like rabid rabbits, of TIG-welded e-bike “brands” was a little jarring. And the fact you could, as I did, walk the entire show in one day and feel like you missed nothing. It seems like an indication the bicycle industry is in serious trouble. That, of course, is assuming Interbike is a microcosm of the bicycle industry and as it suffers, so goes the industry. It is possible the majority of the industry stayed clear of Vegas this year, as the trade show transitions to the more rider friendly venue in Reno? But I have to say, even though I was only in Vegas for 7.5 hours I still got my fill of sweet looking rigs, hugs from my friends and my stoke for all things bicycle is higher now than before the show. It may just be me getting old, but as far as I can tell, these are the good old days. Somehow we landed in the middle of e-bikeville almost immediately after entering the show floor. And I’m neither a lover or a hater of the e-bike segment of bicycles, but once you strap the motor on it I don’t see the point of discussing the rest of the specs. Everyone says they are “a lot of fun” to ride and I’m sure this is true. Sadly for me, I’m not really riding to have “a lot of fun.” I’m ride for so many more reasons than just fun and I kind of prefer to do it under my own power. It might be more fun to do it on an e-bike, but then I would miss all the other stuff. Having said that, I caught the sweet video Pivot Bicycles did with their new e-whip and Jimmy wants that. Sadly, I’m not Aaron Chase and this steed is not available in the states. I’ll probably have to settle for one of those Pivot Mach 5.5 chariots. If the bike business is not exactly booming, the bike rack business appears to be raging. 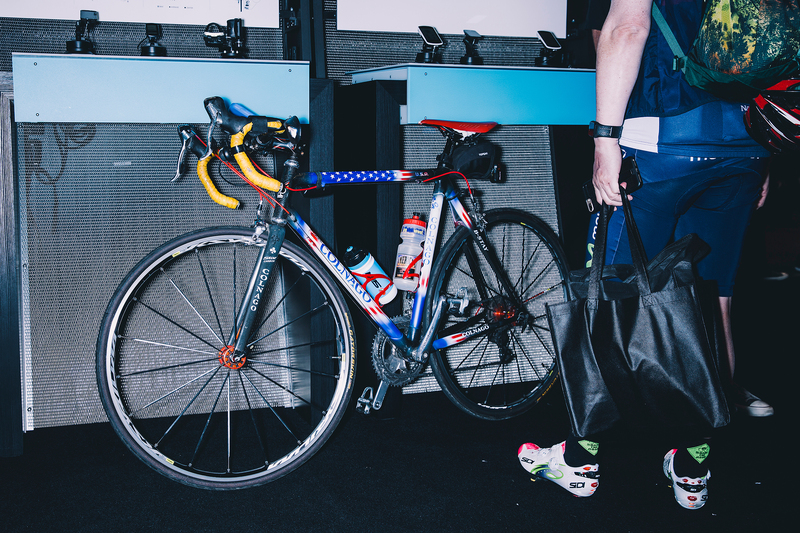 There were well over a half dozen bike rack companies displaying at the show, with sweet racks from Thule, Yakima and the aesthetic frontrunner Kuat. But the Best in Show has to go to SeaSucker with their sucked-on 9 bicycle roof rack. It looked like a gimmick, but this sucker is an actual team-car-ready setup. Seeing it displayed with a fleet of new Cervelo bicycles did not hurt the presentation one bit. The new 3T Strada was front and center in the main hall and did a pretty good job of reminding me we are in the heyday of bicycles and bicycle technology. Although, these may be tough times for the industry, this is a great times for bike riders. And you didn’t have to look much further than the Alchemy booth to see this displayed again. They were displaying bikes in super matchy-matchy paints jobs which made you consider, just for a moment, knocking someone over the headed and running for the door. If I could have only remembered which way the exit was in the stupid convention center. I always enjoy hangin’ with the hipsters in the Kali booth, the Moots road bike with full EPS sitting in the Campagnolo booth was nothing short of stunning and Clif, as always, had a myriad of tasty bites to stave off show floor starvation. If e-bikes are the new hotness, the run for power supremacy has still not been decided. With Shimano still not delivering their power cranks, Stages doing dual leg, Garmin having finally removed the giant growth from their power pedals, the choices continue to be multiple and confusing. This might be the only case in history where more choices are not driving down the cost or making things clearer for the consumer. I guess you should all just go with your gut and power on. 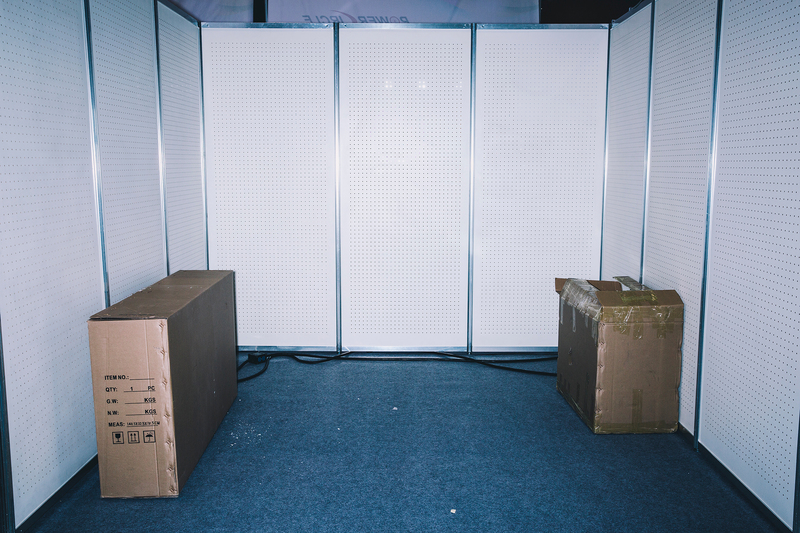 There were countless other booth with various versions of bags, blinkies and baubles, of which, I paid no attention. But I did see one dude wearing his “Las Vegas” bicycle jersey, spotted a pair of 6 foot-plus tall booth babes in angels wings, experienced a quality Worthy-sighting, talked Mark Riedy into giving me his watch, partook of several bowls of peppermints and saw countless people standing in the line for free beer (somethings never change). 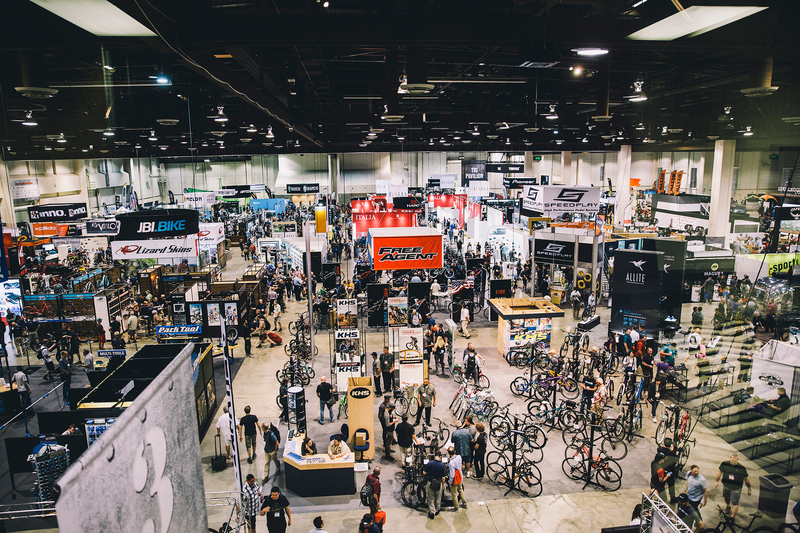 Overall, it is hard to know how I would have felt about the state of the bicycle industry, and the much loved and maligned Interbike, had I stayed in Vegas a moment longer. But I can tell you without a hint of sarcasm, I am looking forward to seeing what happens in Reno next year and I continue to be a fan of all things bicycle. Especially the crazy, zany and intensely fierce people who call the industry home.